LONDON : Supermarket giant Tesco has introduced new recycled plastic packaging to replace the pulp cartons used for egg packaging. The new packaging made from recycled plastic bottles is currently under trial run. The main disadvantage of the current pulp pack is that if an egg breaks, it could seep through the pack and cause damage to other egg packs as well. According to Tesco, the new packaging would contain the damage to that pack alone, thereby saving huge quantities of eggs from going to waste. 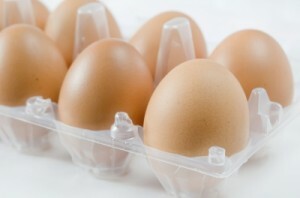 Currently, on an average of nearly one million eggs are wasted in transit per year. The new 12-egg recyclable plastic packs have been in trial in over 200 Tesco stores for over two months now. The new packing solution has been under the review of Specialist environmental consultancy-LRS Consultancy. Tesco noted that the new recycled plastic pack offers convenient storage and transportation solution. It takes less space while transportation. It also takes only less shelf space. It is also believed to have less carbon emissions. The new eco-friendly pack is expected to reduce food waste considerably. The retail chain plans to roll out the new packaging by end-2014.